Author Bryony Allen's new YA novel 'The Assembly Room' will be hosted for blog tour on the 'Reading Away The Days' YA blog in the last week of October 2012. The tour will feature reviews, guest post, an excerpt and some giveaway competitions too! 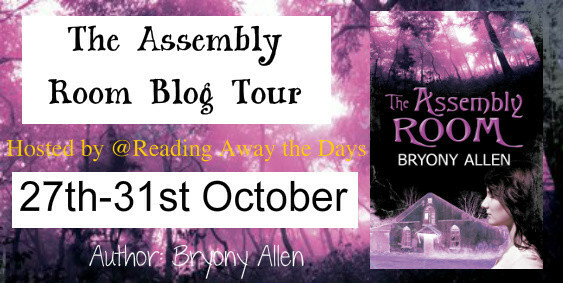 Bryony Allen is the author of three books: 'Mystery Deceit and a School Inspector', 'OTOLI' and her latest - 'The Assembly Room'.